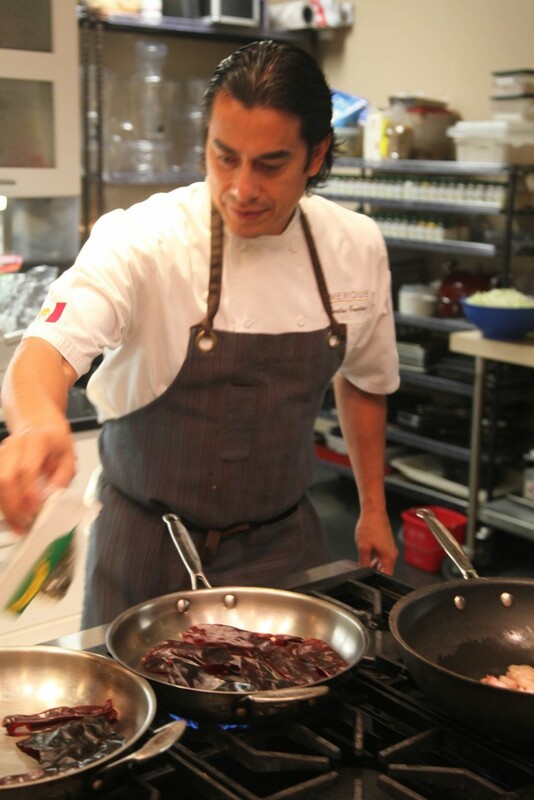 Carlos Gaytán, a pioneering Mexican chef whose Chicago restaurant has attracted global attention and praise, will come to Salt Lake City later this week to help raise scholarship money for Artes de Mexico en Utah in an event sponsored by the Consulate of Mexico in Salt Lake City. 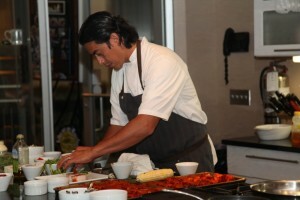 Gaytán will be preparing meals for private events as well as a cooking class for 60 people. A former competitor in Bravo’s Top Chef and the first Mexican chef in the U.S. to earn a Michelin star for his Mexique restaurant in Chicago’s West Town neighborhood, he will demonstrate one of his signature ceviche dishes. 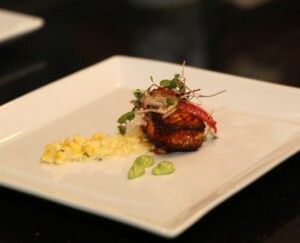 He was named 2011’s Chef of the Year by the American Culinary Federation. This is Gaytán’s second visit to Utah, on behalf of Artes de Mexico en Utah, which offers numerous arts and cultural activities, demonstrations and exhibitions to highlight the impact of Mexican cultural contributions in many venues and disciplines. 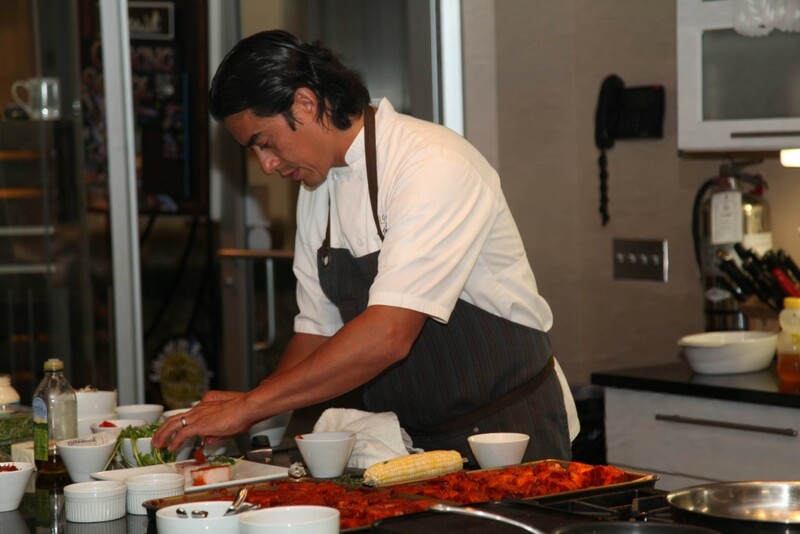 Several local Mexican chefs also will be cooking with Gaytán during his visit. Dish by Carlos Gaytán from 2014 class in Utah. Photo: Edgar Gomez. 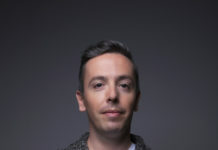 Gaytán’s career followed a rapid track, starting with the prestigious Union League Club of Chicago, and then opportunities to work with gifted chefs such as Dominique Tougne at the Bistro Margot, where he studied with the chef every morning to learn and perfect French culinary techniques. He opened Mexique nearly eight years ago, and quickly gained the attention of critics and diners, including one of Chicago magazine’s top new restaurants of 2009, best restaurant of 2010 and received its first star in the Michelin Guide in 2013. Gaytán’s dishes often are noted for their artistic presentation, such as young squab served with pureed parnships and a blueberry port reduction, which is finished with edible petals. His tuna ceviche resembles a miniature garden, with apple, pear, and pineapple relish over avocado mousse, topped with a ginger-mint foam and ground pepper, and garnished with a lotus-root chip. Advance registrations are required and seats are still available for the two-hour cooking class which will be held Saturday, March 5, at 11:30 a.m. in a Sugar House location. Gaytán’s last SLC class in 2014 sold out in one day. To register or for more information, contact Artes de Mexico en Utah directly.